Punch holes around the bottom of paper cups. Allow the children to decorate the cups using art supplies to look like an octopus. 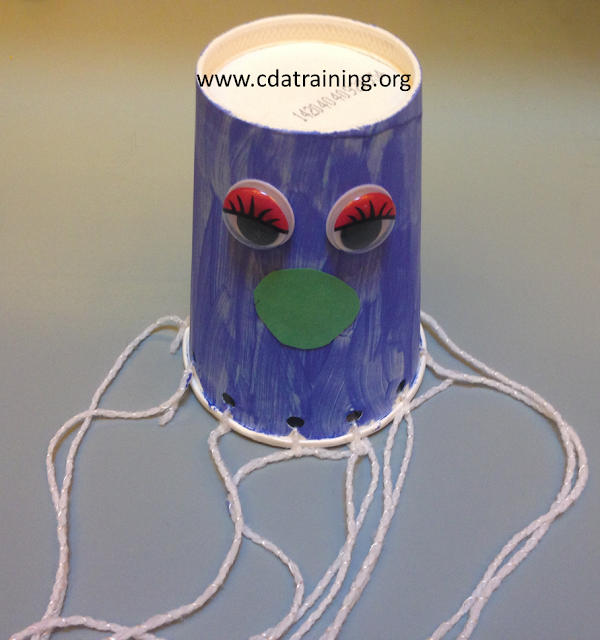 Then help the child tie string or ribbon through the holes to complete their paper cup octopus.